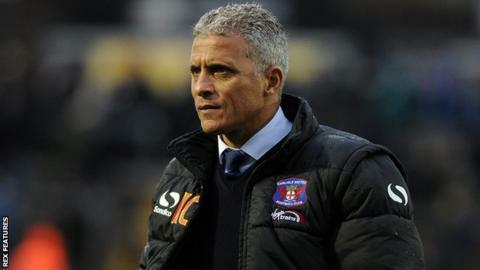 Carlisle manager Keith Curle says he wants to sign three players in the January transfer window to maintain their promotion hopes. Curle's side are on a five-match unbeaten run and sit sixth in League Two after Saturday's draw at Oxford. The Cumbrians are the top scorers in the division, but only York have conceded more goals this season. "We need three players. They've been identified," Curle, 52, told BBC Radio Cumbria. Carlisle made 13 permanent signings in the summer transfer window, having finished 20th in League Two last season, nine points clear of the relegation zone. "I think we've amassed a very competitive team now that is strides ahead of where the football club was last year," Curle added. "That shows the good job that the recruitment department have done."